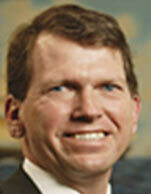 Jeffrey D. Pribor has been Global Head of Maritime Investment Banking at Jefferies LLC since February 2013. The Maritime Investment Banking group has completed over 50 transactions for shipping clients including IPOs and other equity capital markets, leveraged finance, M&A and Restructuring Advisory with total transaction value of over $3 billion in this period. Jeff and his team were named to Lloyd's List "Top 10 in Shipping Finance" for 2014 and 2015. Previously, Jeff was Executive Vice President and Chief Financial Officer of General Maritime Corporation, one of the world's leading tanker shipping companies, from September 2004 to February 2013. Major accomplishments during his tenure at General Maritime included successful hostile takeover defense, a leveraged recapitalization with a $500 million special dividend to shareholders, a major financial restructuring in 2011 involving replacement of existing secured debt held by 20 banks with approximately $1 billion of debt and common equity. Most recently, Mr. Pribor guided General Maritime through a pre-arranged Chapter 11 bankruptcy proceeding which resulted in substantial reduction in total debt from $1.4 billion to $800 million and annual debt service reduction from $175 million to $44 million, anchored by a $200 million new money equity investment from Oaktree Capital Partners. Prior to General Maritime, from 2002 to 2004, Mr. Pribor was Managing Director and President of DnB NOR Markets, Inc., the U.S. investment banking division of DnB NOR Bank ASA, one of the world's leading shipping banks, responsible for mergers and acquisitions, strategic advisory services and U.S. capital market activities for the bank's shipping, offshore, logistics and energy clients. From 2001 to 2002, Mr. Pribor was Managing Director and Group Head of Transportation Banking at ABN AMRO, Inc. where he was responsible for all commercial and investment banking activities for shipping and other transportation companies in North America. From 1996 to 2001, Mr. Pribor was Managing Director and Sector Head of Transportation and Logistics investment banking for ING Barings. He also worked for over 10 years in the mergers and acquisitions group at Merrill Lynch, and as an attorney in the corporate and banking law practice of Milbank, Tweed, Hadley and McCloy. Mr. Pribor holds a B.A. from Yale University and a J.D. and an M.B.A. from Columbia University.